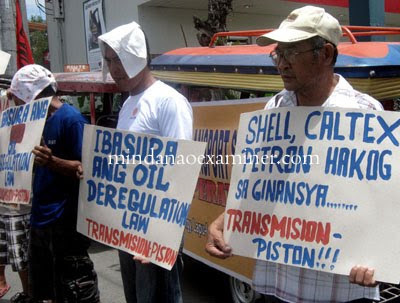 ZAMBOANGA CITY, Philippines (Mindanao Examiner / May 1, 2011) – Public transport organizations and militant groups in Mindanao held simultaneous rallies on Sunday and protested the high cost of petroleum products and demanded the Aquino government to repeal the Oil Deregulation Law and scrap taxes on oil. 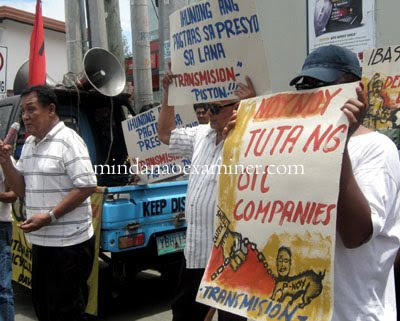 The Federation of Land Transportation Associations in Zamboanga and the group called Responsible Union of Empowered Drivers Associations protested against recent oil price hikes and branded the new increase in petrol products as “unjust” and reiterated their call to dismantle the oil cartel and to scrap the Oil Deregulation Law. 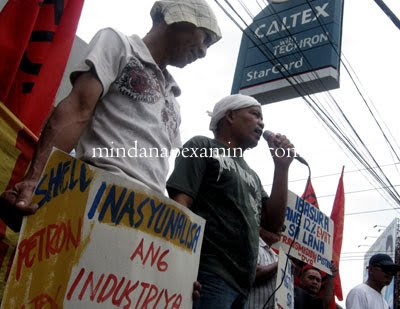 “The on-going chaos in the Middle East caused movement of oil prices worldwide, but the supply and price manipulation of the greedy oil cartel, led by Shell, Caltex and Petron, made the suffering of the people worst,” Kabayan said in a statement. “I would prefer price control, with the government fixing a price that would enable companies to make a profit but not super profits as they are reaping right now. The price should be reviewed monthly and adjusted depending on international price trends,” Bello said. “This should be investigated by the Zamboanga City Council and sanctions must be imposed to these unscrupulous businessmen that only care about accumulating huge profits at the expense of the poor drivers.” Mingala said. “We are calling on President Aquino to scrap Republic Act 8479 or the Oil Deregulation Law that empowered the oil cartel to impose unjust oil price hikes without Government Control,” Awid said. 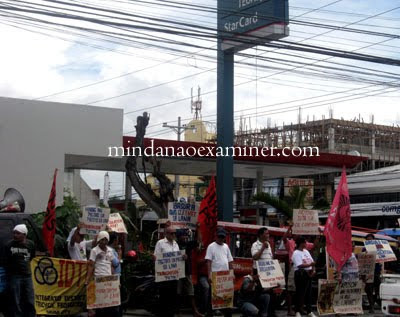 In Davao City, the transport groups also held a picket in front of gas stations and demanded a roll back in oil price hikes. 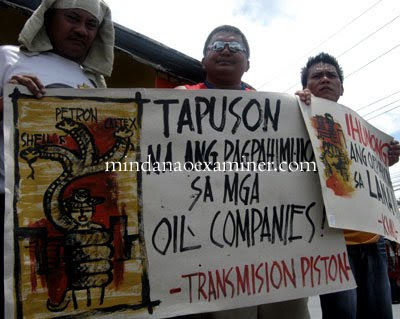 The Transport of Southern Mindanao for Independence, Solidarity and Nationalism-Pinag-isang Samahan ng mga Tsuper at Opereytor Nationwide, urged the government to repeal the Value Added Tax and the Oil Deregulation law.